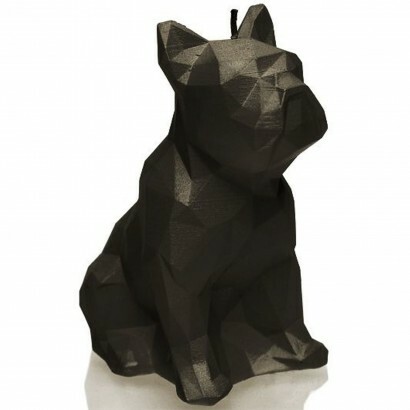 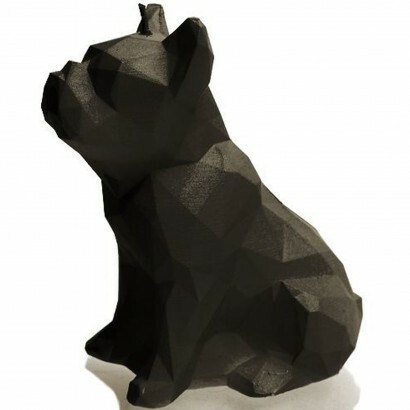 With his geometric lines and quizzical face, this French Bulldog candle captures all the charm of your favourite pooch. 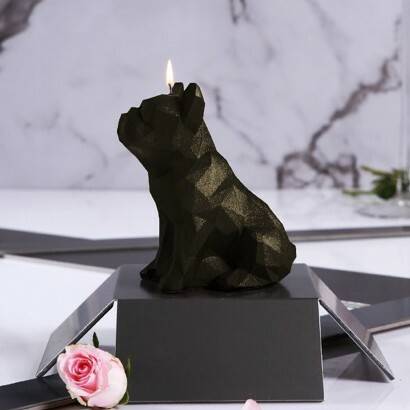 A large and sturdy candle coloured black and dusted with gold for a little shimmer, this stylish candle makes a striking decoration that's almost too cool to burn. 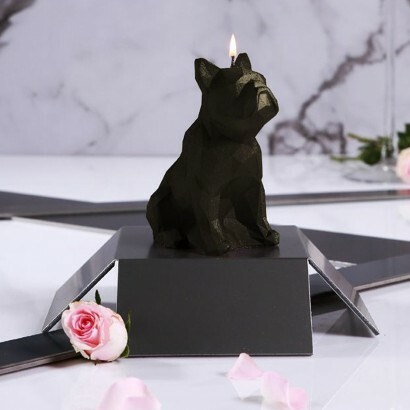 Should you choose to light it, this Bulldog candle will burn for twenty-four hours giving you a good number of uses, but really we think he looks best as a super sweet room decoration.